History in the Rough–Are Computers Newsworthy? 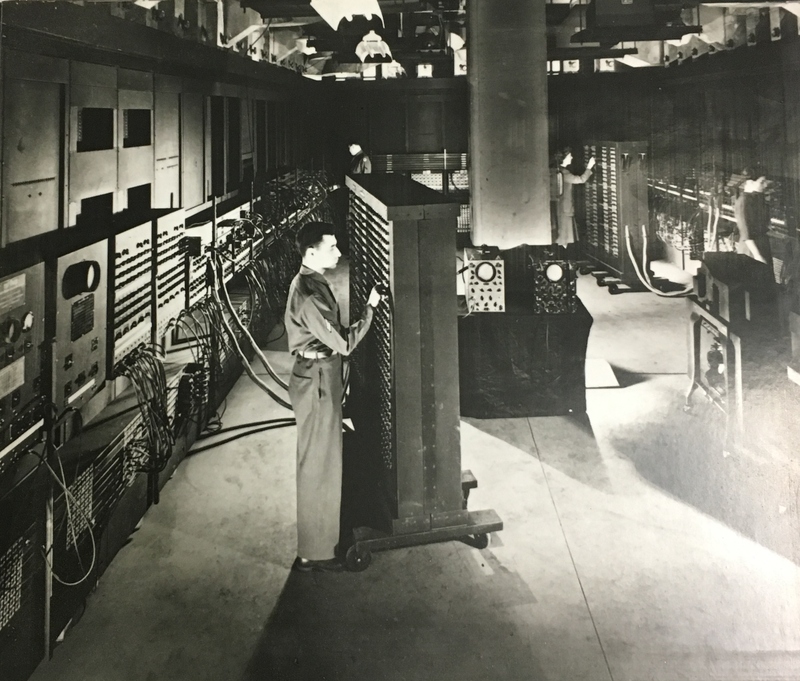 Today, almost everyone walks around with a tiny and powerful computer in their pocket … but in 1946, when John Mauchly and J. Presper Eckert invented the first all-electronic computer, the ENIAC, right here on Penn’s campus, it took up the entire basement of the Moore School. Until his death in 1980, Mauchly worked in this emerging field and reduced the size of a computer down to “a computer in a suitcase.” In 1962, he predicted that business folk would be carrying computers in their suit pockets! The Kislak Center holds the John Mauchly papers which demonstrate the man and the evolution of computing technology over the past 72 years. Join Kislak catalogers at History in the Rough, a pop up exhibit, November 8, from 11:30 to 1:30 in the main floor lobby of Van Pelt Library, to see a few documents (both fun and technical) from the collection of a man who truly changed the world. This entry was posted in History in the Rough by Holly Mengel. Bookmark the permalink.